10 Ways to Spend 'Date Night' at the Mint! 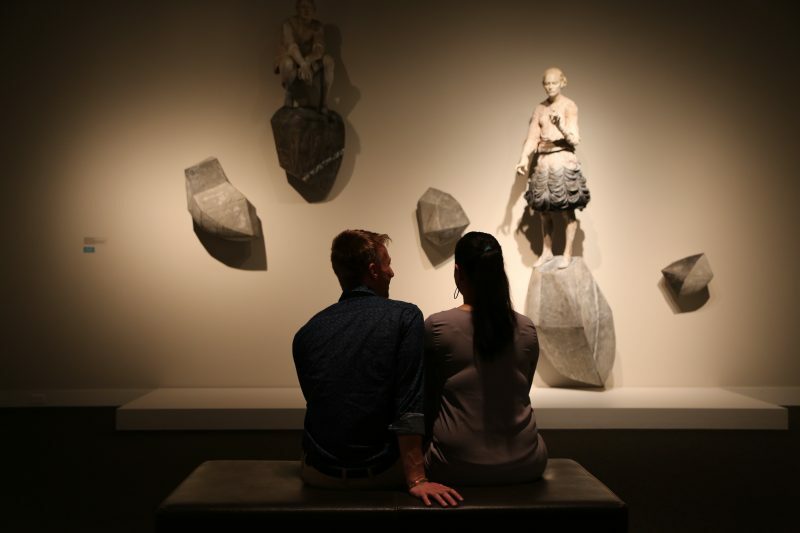 The Mint Museum > News > 10 Ways to Spend ‘Date Night’ at the Mint! 1. 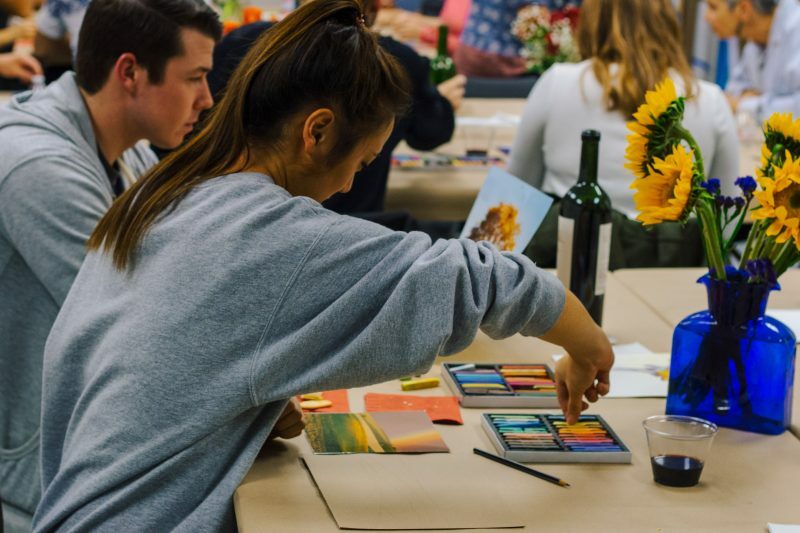 BYOB to an art class: Check our events calendar for these fun evenings where you can bring a bottle of wine and learn a new art form such as tie dyeing, felt crafting, or abstract nature painting! The Mint’s super-creative instructors take “sip and paint” to a whole new level. (the next one is December 14). 3. Dance the night away at “Mint to Move.”: These bi-monthly events transform the Mint into a dance party with salsa, cha cha, line dance, and more (free dance lessons offered). There’s a DJ, live musicians, and unique themes for each event. The next one’s coming up December 7! 4. Climb to new heights: Beginning November 28, skip the elevator and climb the Grand Staircase out front, where you’ll get to experience the Mint’s new interactive light/sound installation, Lumisonica! So much fun you might want to zip up and down a few times before heading in. 5. 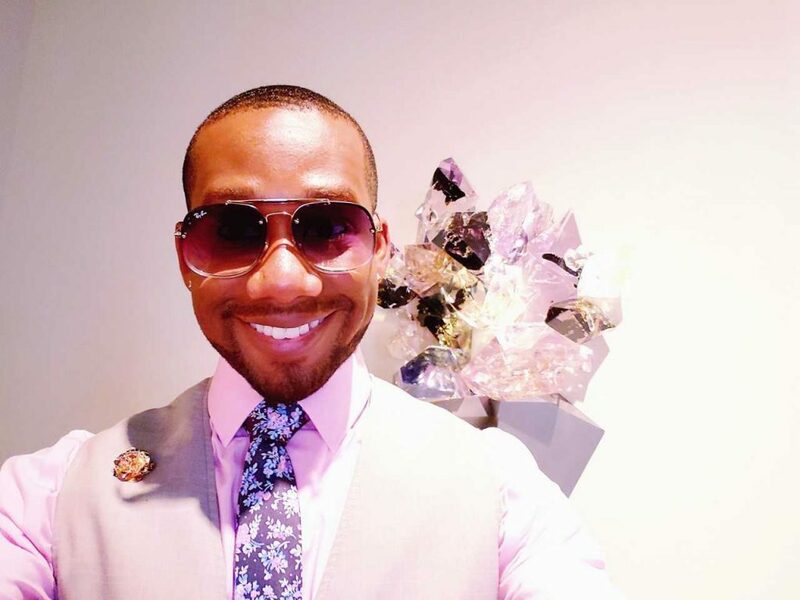 Pick a selfie spot: The building offers countless beautiful backdrops for you and your beau. When you post with the hashtag #themintmuseum, you might see your IG post appear on the opening screen in our entryway! (Just be super careful not to bump anything or anyone when you pose – and no selfie sticks allowed). 6. Create a craft for your cutie: Draw a picture, write a poem, or twist together some pipe cleaners – whatever artistic impulse moves you, you’ll find a pile of do-it-yourself art supplies inside the Lewis Family Gallery anytime we’re open. 7. View a traveling show before it’s gone: In addition to the Mint’s expansive permanent collection galleries (which rotate new objects in several times each year), we host a variety of traveling exhibitions and temporary spotlight shows. 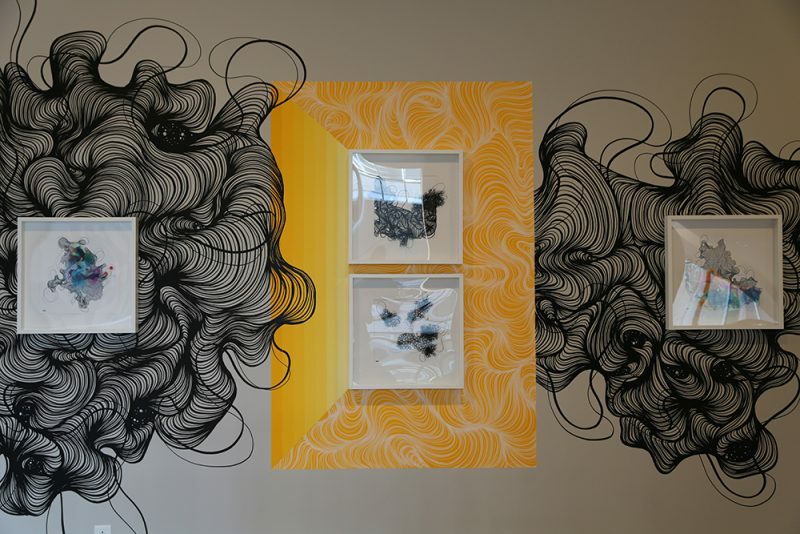 On view now: Michael Sherrill Retrospective (through April 2019) with breathtaking botanical forms created in the mountains of western North Carolina; constellationCLT, an installation of four murals created by local artist Owl + Arko on view through December 30; November 16 through December 30 is Robert Lazzarini’s the flowering on Level 5; and opening December 1 (through August 2019) is Under Construction: Collage from The Mint Museum. 8. 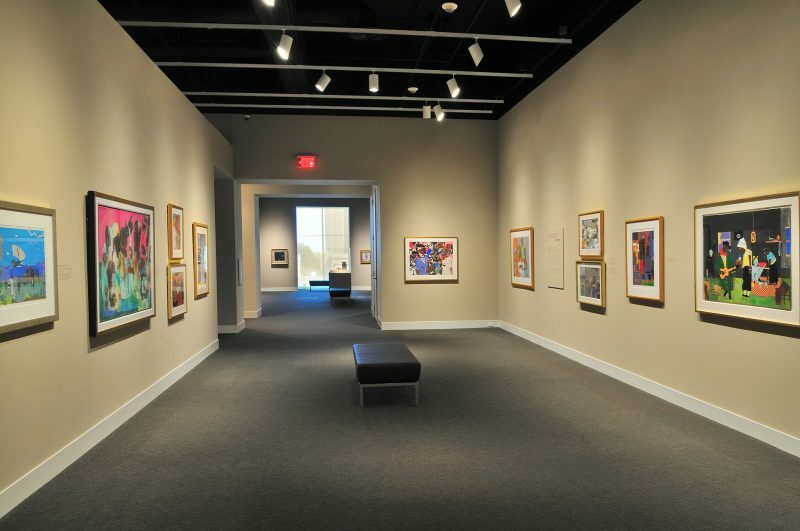 Bearden beckons: Feel smarter after you visit the Romare Bearden Gallery on Level 4, learn about Charlotte’s favorite native son, and enjoy the beautiful collages, paintings, and more (the Mint holds the largest public collection of his work). 10. Have a romantic dinner: Halcyon has been named one of America’s Best Museum Restaurants – find out why for yourself (Mint members get 10 percent off). 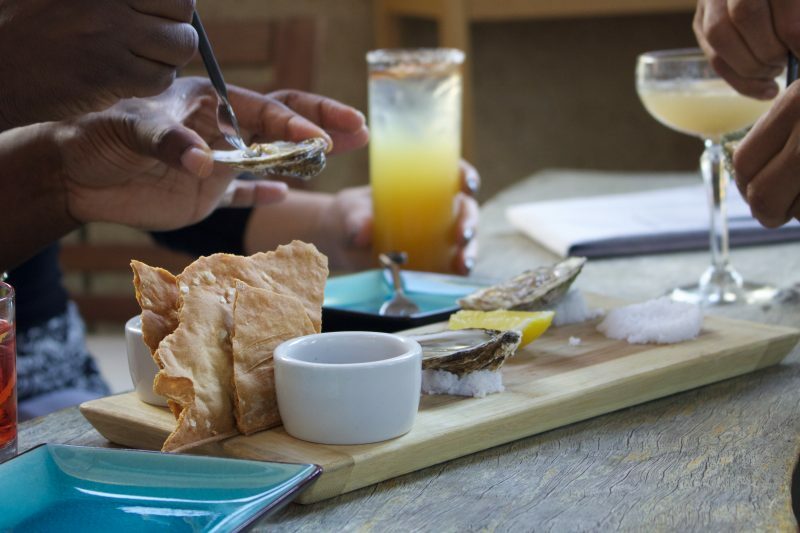 Or, start there for happy hour and pick another nearby spot for a nightcap after your gallery visit – we like Fin & Fino, Evoke, or Sophia’s Lounge too. If we left something out that you’d like to suggest, post a comment here or notify us at info@mintmuseum.org!